If you look up ‘happy’ in the dictionary, I’m pretty sure you’ll find a picture of the bubbly and vivacious Erika Swinn smiling out from the pages. I met Erika circa 2010 (give or take) when we were both working at Mamas & Papas and she was a confident, lovely girl working in the marketing team. Little did I realise that she was about to make a swift exit, retrain and soar up the career ladder to become a successful hair and makeup artist. 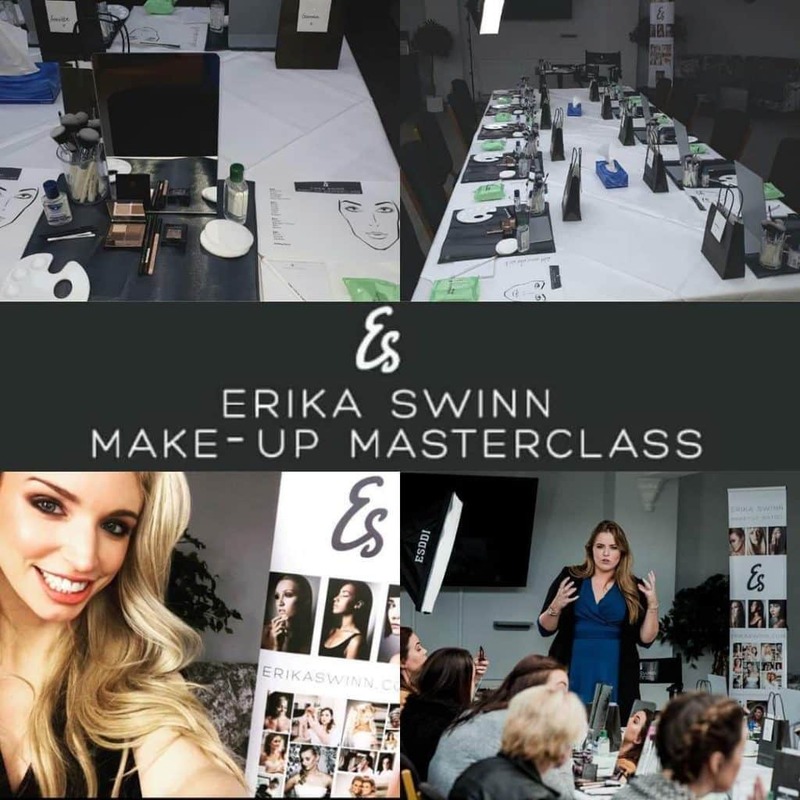 At just 30, Erika has made a name for herself working in fashion, celebrity and TV plus she has a successful wedding hair and makeup business (Erika Swinn Weddings) and to top it off she has just launched Erika Swinn Masterclass so that she can share her experience with others (errr yah I’d like some of that please!) So I wanted to know how did she channel good energy into a brand new career? And also, what is she planning next? Because something tells me, this is just the beginning of Erika Swinn’s empire. Erika Swinn: I’m from Blackburn in Lancashire and funnily enough after moving around for years we are back in the house we bought in our late teens. It's our third time living here so I'm hoping to stay put for a few years at least. Erika Swinn: My degree is in International Fashion Marketing BSc, my first graduate job was working in the marketing department for Mamas & Papas in Huddersfield. 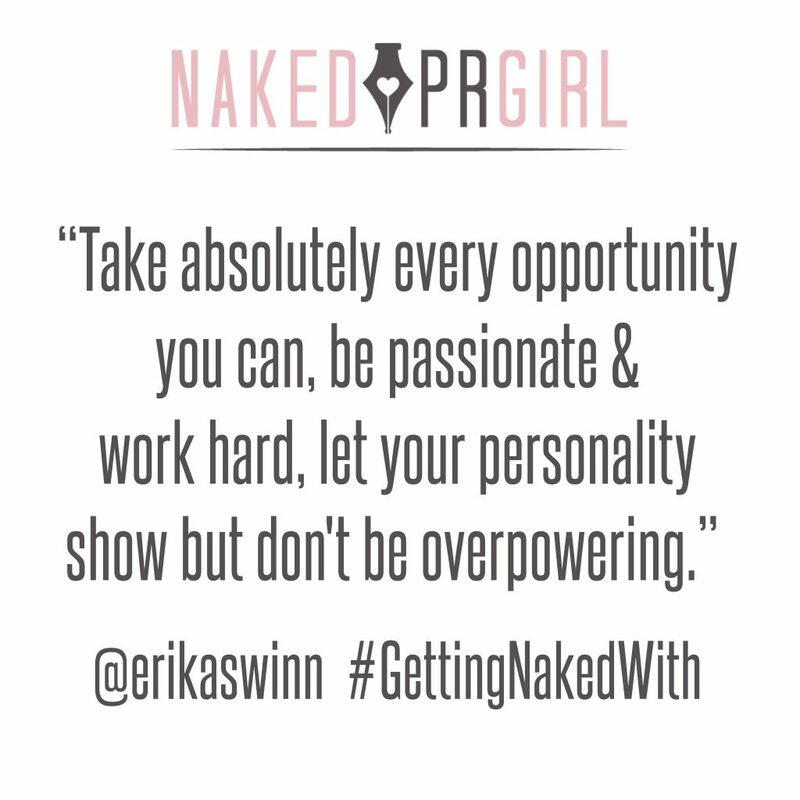 NakedPRGirl: Why did you decide to pursue a career in hair and makeup? Erika Swinn: I've always wanted to but once I'd started my degree I really felt I should finish it, and then I got the job I wanted. It was always in the back of my mind and I kept thinking, if I wait until a promotion, it will be harder to give up that extra income so I need to do it now while I'm still 22, no children and can totally dedicate myself to making it a success. NakedPRGirl: When setting up your business, how did you decided your USP? Who did your logo/branding? Erika Swinn: I used Toby from 'We Are Fine', he was in the creative department at Mamas & Papas when I worked there, we worked closely together at the time. Coinciding with me retraining as a make up artist, he was also setting up his own business so it worked really well for both of us. Since then I've branched out into 'Erika Swinn Weddings' and the 'Erika Swinn Masterclass'. For these I used a friend I met working on a TV show. He's altered my logo for each section of the business as we both saw fit. I'm lucky I've had both these creatives involved in the building and expanding of my brand. NakedPRGirl: You’ve come a long way in a short space of time, how did you get into the industry and start getting your first jobs? 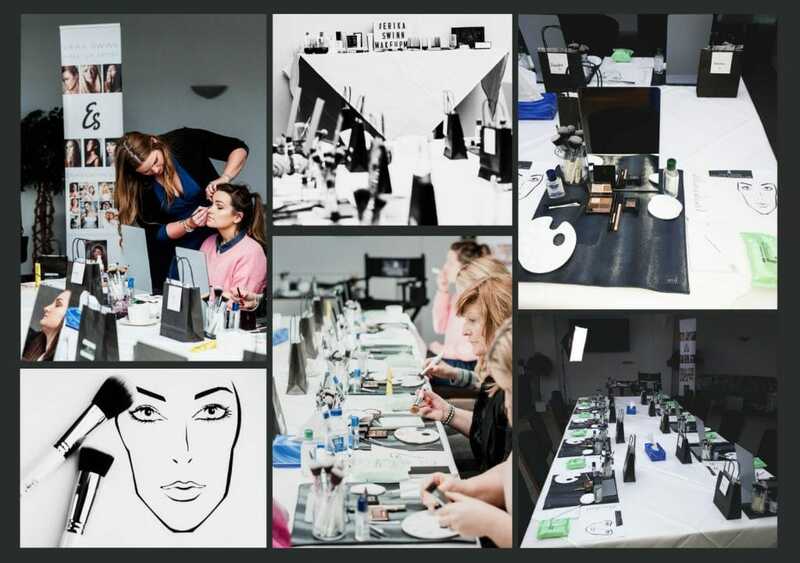 Erika Swinn: I took a lot into consideration when going to train, I took a chance on a brand new make up school 'Cassie Lomas Makeup Academy' based in Manchester. 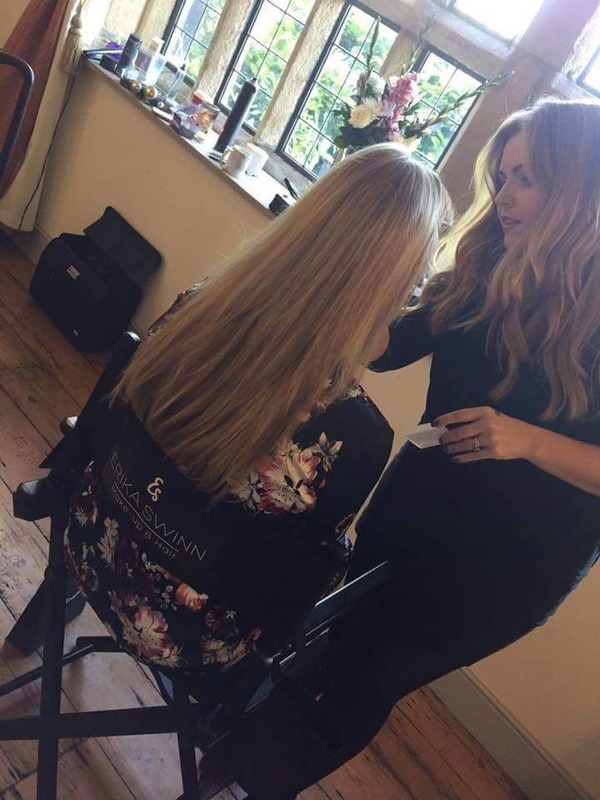 I had a strong gut feeling to choose this school as Cassie is a very well established make up artist and as this was her first ever course I knew she would be heavily involved so i would learn a great deal from her directly. Another huge advantage to Cassie’s Fashion Course was getting the chance to assist her on those first few jobs which was just amazing. I also had lots of contacts from my marketing degree and my graduate job which really helped me. My managers and colleagues didn't really know how good I was at make up, but they knew me as a person and knew my work ethic and determination to succeed so luckily they gave me a chance. 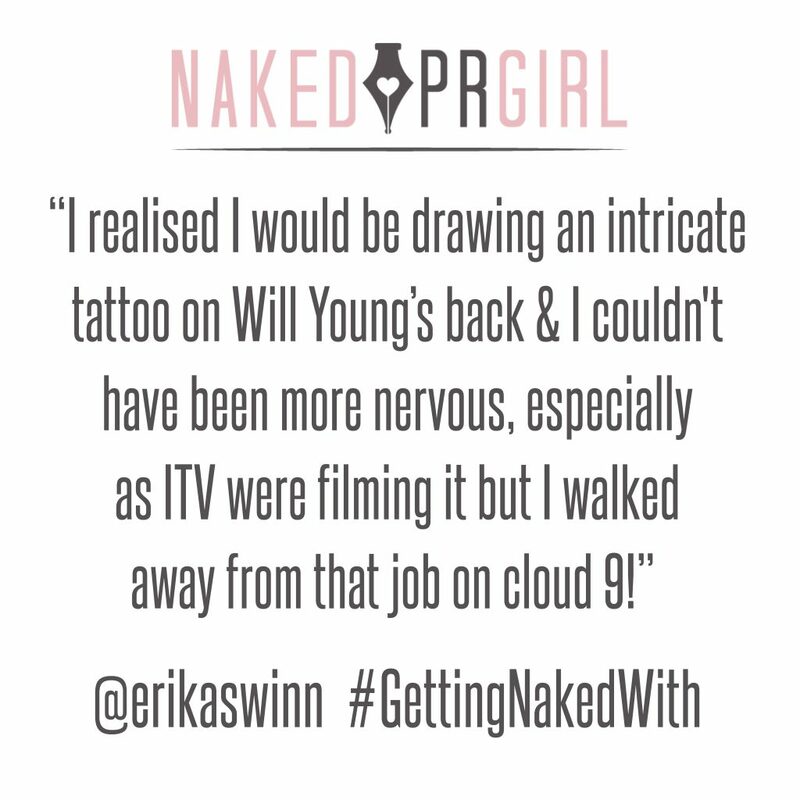 Erika Swinn: I would say Cassie sending me to work as an assistant to the amazing Paul Percival on Will Young's music video, 'Jealously' in London. I was 22, I had only just finished my make up & hair course and was extremely new to the industry. I had no idea what to expect and only had a minimal kit but knew I had to take the chance, even though I was terrified. Once I got there, in the end by Royal Mail delivery!!! (that's another story), I realised I would be doing hair and make up on five dancers and also drawing an intricate tattoo on Will Young’s back. This took me by surprise and I was so nervous but again knew I had to do it as I didn't want to let anyone down. Hand shaking and heart beating before I started, ITV asked me to sign something so they could film me doing it. I seriously couldn't of been more nervous. I walked away from the job, 12 hours after arriving, on cloud nine. I thought to myself this is why I wanted to do this, that's buzz you get from a job gone well. That job meant meeting Paul Percival who is incredible and of course working with Will Young, as well as gaining the experience of a production team. NakedPRGirl: Do you have a favourite shoot that stands out? Any great people you love working with? Erika Swinn: Yes totally, I still can't believe to this day that I got to shoot with the most incredible Hollywood Photographer John Russo. If you're not familiar, Google him - he shoots every Hollywood star there is and has won a Golden Globe. When I received the email back in 2012 from his assistant I didn't quite know what to think, he even asked me to recommend a stylist!! John himself was just incredible, you only have to look at his portfolio to see how amazing he really is. The shoot was with Sergio Aguero for Hugo Boss and Esquire Magazine. Still now I can't believe I worked with such a huge name and talent. 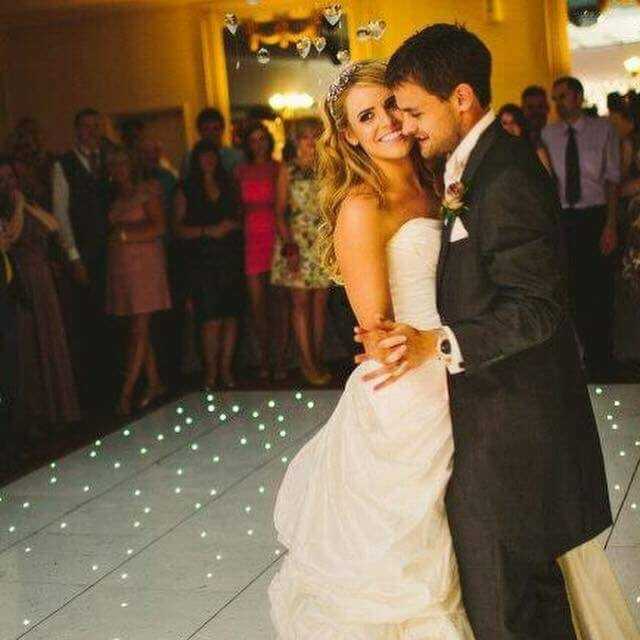 NakedPRGirl: I spotted you also do amazing wedding makeup - is this something you are really passionate about? Erika Swinn: I have always taken wedding jobs since I started as I love working with brides helping to make it the most special day of their life. 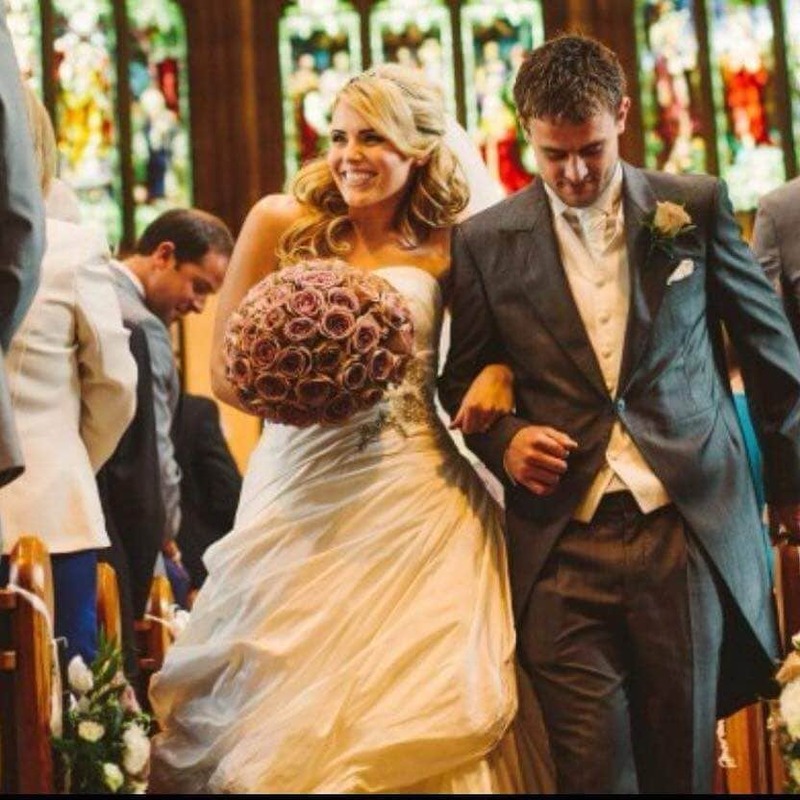 I take maximum of 25 a year but do try and keep to 20, this keeps it personal and exciting for each bride. I have made so many friends over these last seven years and keep in touch with pretty much all of my brides. NakedPRGirl: You new Masterclasses are a great idea for anyone wanting to get a little bit better at doing their own makeup - where did the idea come from and how is it going? Erika Swinn: I'm always getting asked to do individual lessons from brides, wedding parties members, friends, people that know what I do. I wanted to do something where I could create an experience and that was also fun at the same time as learning. I know lots of artists do Masterclasses on a large scale, a few of which I have attended. I would describe mine as more of a beauty workshop, it's really personal as I only take 10 on each course. 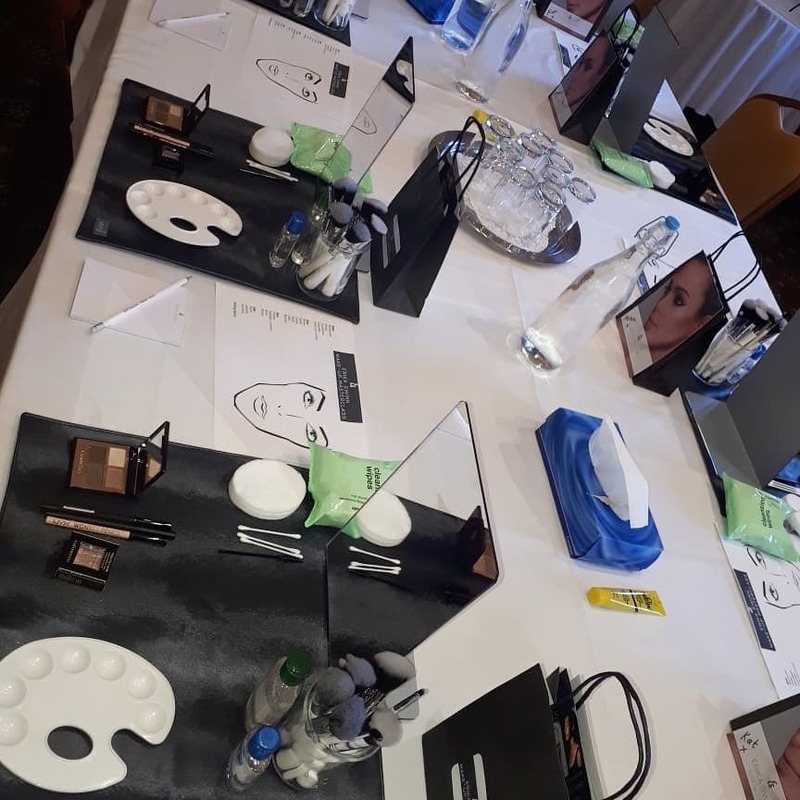 I adore the masterclass days, we meet and chat over coffee, demos and practicals throughout the day interspersed with lunch and an afternoon drink. Everyone leaves feeling glam and confident and with a bag of make up treats. That's my goal! Erika Swinn: My personal make up style is quite natural, especially compared to the current heavy make up trends on young girls. I'm all about enhancing natural features, seeing the face not just the make up. I probably could do with marketing myself more, but I will have had 3 children in 5 years by this summer so I do as best I can. NakedPRGirl: Do you think our hair and makeup can make a huge impact in how we feel about ourselves? Erika Swinn: Definitely! I know personally I feel so much better when I have a bit of tan on, or I've had my hair done. Even as a busy mummy to young children, just having 30 mins to get ready rather than a mad rush makes me feels more confident. NakedPRGirl: I’ve been on shoots where small things have gone wrong and big things have gone wrong, how do you deal with that? Erika Swinn: I just try to take everything in my stride, I'm not perfect, luckily so far I haven't had any big mistakes. I'm always well ahead of time for a shoot or TV commercial, I plan my journey, turn up with a really well organised kit so that I can get going straight away. I think trying to remain positive and being a generally happy person to be around has a knock on affect on everyone's mood. I want my model to feel happy and relaxed knowing that I'm enjoying working on them every single time. 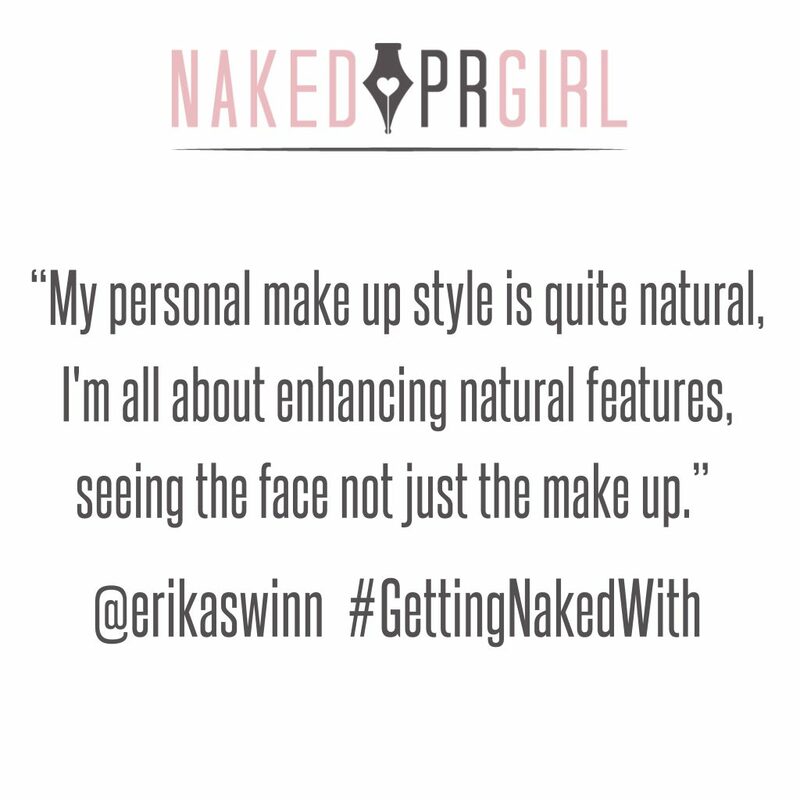 NakedPRGirl: How do you use social media as a makeup artist? Do you have a strategy? Erika Swinn: I don't really, I probably should have more of a strategy, although I do have separate accounts for my industry work and my weddings. This allows me to target my audience better and connect with them more effectively. I just try to let people see what I'm up to as people usually find my kind of job interesting, I'm always really careful though as so much of my work is confidential, or I wait until the brand has released an image before I do, always!! Erika Swinn: Definitely Instagram, I love visuals, when I'm relaxing in the bath I'm always scrolling and watching videos, it's my guilty pleasure. I find it easy to connect with people as well on there, I'm really not a Twitter person, no matter how hard I try. NakedPRGirl: Do you think social media has impacted the beauty industry? How do you feel about all the filters, smoothing and retouching apps? Erika Swinn: I think it's had a huge impact, in most ways that's amazing but I also fear for my daughter (she's current only four) growing up in this crazy image obsessed world. I'm personally terrible at editing, unless it's a bit of fun on Snapchat I don't edit my pictures, and I just take them on my phone. I certainly would never edit a picture and mention the make up I'm wearing as I think that sets unrealistic goals to anyone seeing it. I know most people useFacetune and that is their choice, personally I want to keep it as real as possible. NakedPRGirl: What makeup tips can you give us to be camera ready? 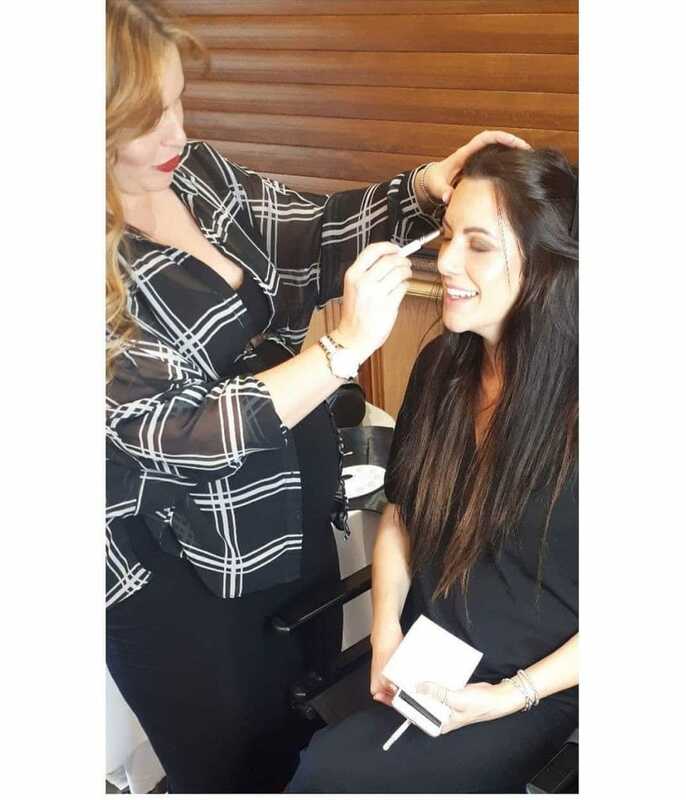 Erika Swinn: Keep on top on your makeup brushes, just a bit of fairy liquid to clean and left to dry is enough for your personal set. Go through your make up bag and check the shelf life, you'd be surprised how much of your make up has a shelf life of 12 months. My advice is, less is always more, wearing too much make up can clog your pores and actually make you look older. NakedPRGirl: And what about guys, what’s male grooming? Erika Swinn: I work with so many men for TV and photoshoots, mainly professional athletes, these men wouldn't use make up their everyday life but it is essential when infront of the camera. Again, less is more, I often see shoots where I can see the make up on a guy, this isn't good! They should just look flawless, like they are not wearing any make up. I think most men nowadays make some effort in the grooming department, chest waxing, brow shaping and a good moisturiser is enough I think. Erika Swinn: My husband jokes that I can go anywhere and I will meet someone I know. I'm a total chatterbox and never forget a face. Socialising is so important to me. Whether it's a job or a mum's group I always end up meeting and connecting with people. NakedPRGirl: What’s are the next big trends in makeup? Erika Swinn: I think blue eyeliner will be everywhere this spring. I think this summer, skin will be dewier than ever. I just don't think we can all get enough of the glow. Erika Swinn: My advice would be to take absolutely every opportunity you can, never say no to a job, be passionate and work hard. Let your personality show but don't be overpowering. Always have a super clean, well organised make up kit and immaculate make up brushes!!! Erika Swinn: Always be kind, and love what you do! It's a long working life to not enjoy going to work every day. Erika Swinn: Personally, our family will become a family of five this summer, our third baby to complete our family, which is a very exciting time for all of us. Professionally I want to continue building and expanding these courses, strengthening my personal brand. I don't quite know my direction yet but I do know my passion for this industry and my drive to succeed, I get so excited thinking about all the possibilities that the future holds. I was 30 in summer, the next 10 years are going to be the biggest in my career, I just know it.